Sign up for 6sqft's newsletter! This email address is already subscribed, thank you! Sign up for our newsletters today! Thank you for signing up! Make sure you like us on Facebook for even more updates. Rendering by Amanda Williams and Olalekan Jeyifous. In New York City’s five boroughs, only five out of 150 monuments of historic figures depict women. Launched last year, a program from Women.nyc called She Built NYC is attempting to narrow that gap by commissioning monuments throughout the city honoring visionary women who have helped define the city and made an impact on the world. 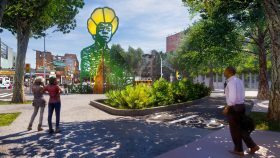 To that end, acclaimed artists Amanda Williams and Olalekan Jeyifous have been selected to design the first of these monuments, which will honor celebrated New York congresswoman Shirley Chisholm. With the weather finally warming up, there’s no better time to plan your spring and summer weekend excursions. In partnership with the Prospect Park Alliance, Turnstile Tours is offering a range of walking tours this season, exploring the history, architecture, and nature of the iconic park (h/t Brownstoner). New and seasoned visitors of the park alike will be able to discover hidden treasures, little-known tales, and learn about the Alliance’s new facilities and ongoing conservation efforts. The beloved community event known as the Prospect Park Soiree is coming back for its third year on Saturday, June 22; tickets are on sale now. 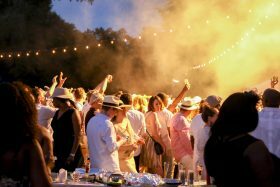 This magical evening of dancing and dining under the stars for a one-night-only celebration of Brooklyn’s Backyard is brought to you by Prospect Park Alliance. Expect thousands of friends and neighbors to gather at the Peninsula in festive attire; bring your favorite bottle of wine and the feast of your choosing–the park will come through with the entertainment. 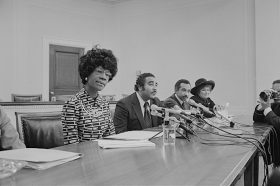 Chipping away at the lack of women represented among New York City statues, the city announced on Friday it is commissioning a permanent statue of Shirley Chisholm to be built in Brooklyn. 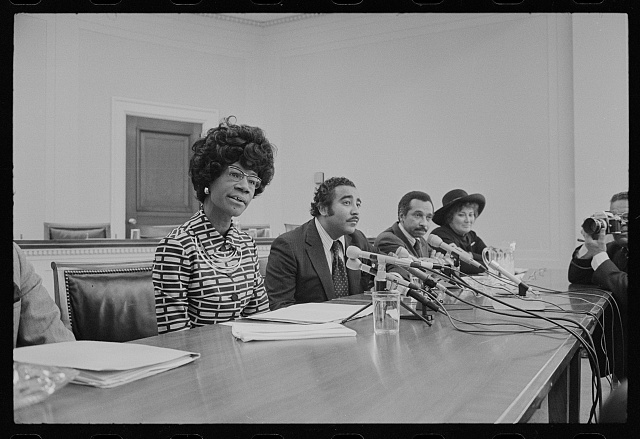 Chisholm, who lived in Bed-Stuy, became in 1968 the first black woman to serve in the House of Representatives. The statue, expected to be completed in 2020, will be placed outside of the Parkside entrance to Prospect Park. 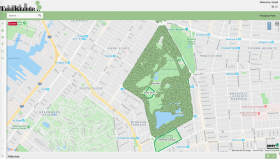 Through a $75,000 Urban Forestry Grant from the New York State Department of Environmental Conservation, Prospect Park Alliance recently surveyed about 12,000 of the park’s 30,000 trees. 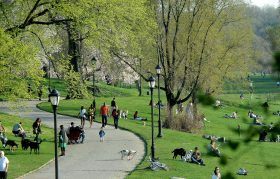 The survey provides a nuanced picture of the park’s ever-changing ecosystem and important insights into the economic, environmental and health benefits of “Brooklyn’s backyard.” You can view an interactive map of Prospect Park’s trees and their benefit to the community here; you can also examine the results on the Prospect Park TreeKeeper Interactive Map. The historic entrance to Brooklyn’s Prospect Park is getting a makeover. 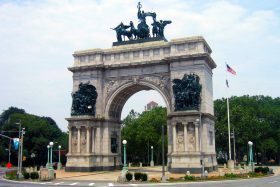 Mayor Bill de Blasio announced on Friday a plan to restore Grand Army Plaza and its iconic Soldiers’ and Sailors’ Arch located in Prospect Heights. The $8.9 million project, overseen by the Prospect Park Alliance and the city’s Parks Department, includes replacing the roof of the arch, cleaning and repointing the brick and stone structure, repairing the iron staircases, and updating the lighting. Plus, the plaza-framing landscaped berms will be replanted. 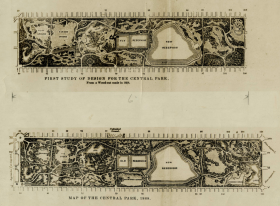 Early designs for Central Park. Image courtesy of the National Park Service, Frederick Law Olmsted National Historic Site. When thinking of influential creators of New York City’s most memorable places, it’s hard not to imagine Frederick Law Olmsted near the top of the list. Considered to be the founder of landscape architecture–he was also a writer and conservationist–Olmsted was committed to the restorative effects of natural spaces in the city. Perhaps best known for the wild beauty of Central and Prospect Parks, his vast influence includes scores of projects such as the Biltmore estate, the U.S. Capitol grounds and the Chicago World’s Fair. In preparation for the bicentennial of Olmsted’s 1822 birth, the Library of Congress has made 24,000 documents providing details of Olmsted’s life available online, Smithsonian reports. The collection includes journals, personal correspondence, project proposals and other documents that offer an intimate picture of Olmsted’s private life and work. The collection is linked to an interactive map at Olmsted Online showing all Olmsted projects in the United States (and there are many). You can search the map according to project name, location, job number and project type. With Memorial Day Weekend just around the corner, it’s hard not to imagine the taste of savory barbecue food like hot dogs and hamburgers, chicken wings and corn on the cob. And while our tiny apartments in New York City may not always be the greatest spots to host a barbecue, the city’s parks provide some of the best places to get your grill on this summer. Ahead, 6sqft rounded up 15 of the best parks to host outdoor barbecues, from old standby Prospect Park to less known locales like Clove Lakes Park in Staten Island. Spring has officially sprung. And what better way to welcome the season than celebrating with a weekend full of activities at Prospect Park? 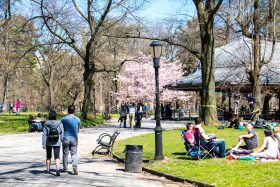 To kick off the park’s opening weekend on April 7th and 8th, the Prospect Park Alliance will bring events like free yoga, a baseball parade and 1860s exhibition baseball game, a fair, history tour and much more. Although most events are free, a few require advance reservation and some cost a couple of bucks. Ahead, check out the full schedule of events. This post is part of a series by the Historic Districts Council, exploring the groups selected for their Six to Celebrate program, New York’s only targeted citywide list of preservation priorities. 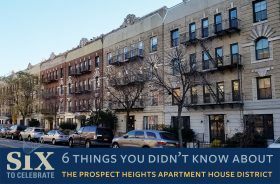 Constructed on a lost fragment of the original footprint of Prospect Park, the Prospect Heights Apartment House District is a concentration of 82 apartment buildings dating from 1909-1929. 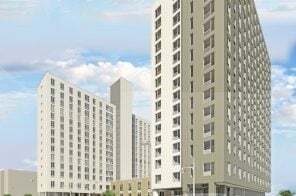 This development was promoted by the Prospect Park Commissioners to attract high-quality construction to complement the nearby Park, Brooklyn Museum, Brooklyn Botanic Garden and Brooklyn Public Library. 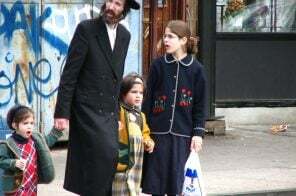 The buildings, representative of a period in Brooklyn history when building patterns shifted to accommodate a rising middle class, remain exemplary for their architectural integrity and as housing stock for a diverse population. As one of this year’s Six to Celebrate recipients, the Prospect Heights Neighborhood Development Council and the Cultural Row Block Association on Eastern Parkway are working to garner local support and submit a proposal for historic district status from the LPC. 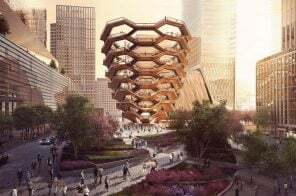 Reservations to climb Hudson Yards’ giant public sculpture are open!